Has been Chief News Anchorman on various Israeli TV networks. 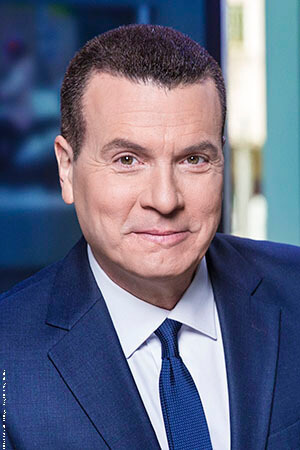 During his career of over 30 years in television, radio and print he has reported from over 20 countries around the world including war zones such as Beirut, Gaza, and the West Bank. Mr. Eilon has interviewed many renowned international leaders. On November 4th, 1995, Mr. Eilon was the Anchorman who reported the assassination of Prime-minister Yitzhak Rabin to Israeli viewers. Mr. Eilon was instrumental in founding the leading national television news brands in Israel such as Channel 2 Network News and Channel 10 Network News. Jacob Eilon, Chief News Anchorman on various Israeli TV networks and a journalist for over 30 years in television, radio and print, is uniquely qualified to tell the story of Israeli media amid the most dramatic news events of this generation. Israel’s news cycle is not measured in hours, but in minutes. A war in the morning, a political crisis at noon, and Nobel prize in the evening. Never a dull moment in one of the most intense places on the planet. Jacob shares his unique perspective on everything Israel as seen on the ground, around the world, and from the Anchor chair in front of the camera. Mr. Eilon is uniquely qualified to tell the story of Israeli media amid the most dramatic news events of this generation.